Up until the launch of Red Guitar Music I was unaware of Police Dog Hogan (shame on me) but over the last few weeks the band, and their excellent ‘From the Land of Miracles’ album, have become required listening. The recent album launch show for their latest release ‘Westward Ho!’ at The Borderline in London was a terrific night out with good playing, and good humour adding to my appreciation for the band. Police Dog Hogan have been notable for their changing approach and personnel over the years as they have expanded to the latest eight strong line-up with the addition of Emily Norris (trumpet / vocals) and Shahen Galichian (accordion / harmonium / vocals) joining the mandolin, banjo and fiddle for which they are known. 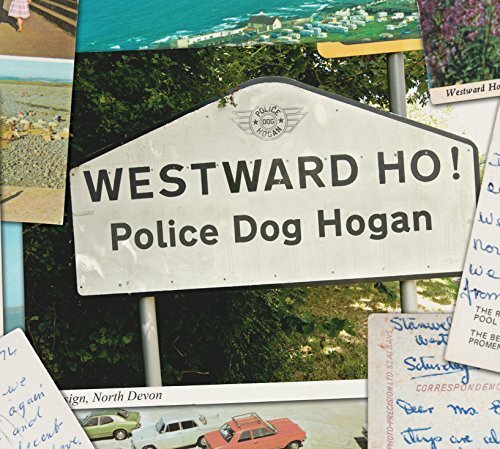 The thing that sets Police Dog Hogan apart for this reviewer is an unerring ability to tell their acoustic folk / country / bluegrass songs with a traditional approach allied with a pop sensibility allowing for the addition of a catchy chorus. It’s hard to pick highlights but opener, and first single, ‘Thunderheads’ with its pleasing harmonies and expressive trumpet sets the scene. ‘West Country Boy’ has name checks for towns in this stunning part of the UK, that may seem alien to listeners over the pond, as the band celebrate their roots and do it with such charm while another geographical note ‘Crackington’ paints such a clear image you can close your eyes and place yourself in the song. This impressive writing is nowhere better demonstrated than in ‘Ethan Frome’ which, while grounded in the present, explores literary comparisons with the 1911 novel by Edith Wharton. Ethan Frome was filmed in 1993 with Liam Neeson in the title role if you prefer celluloid over the written word. This is not the sort of thing you expect to encounter and the album is all the better for it. If you have even the slightest interest in the folk, country, bluegrass, roots genre you owe it to yourself to search out Police Dog Hogan.